14 Taha Hussein St, off Maraashly St.
Over the years, there have been few restaurants in Cairo that have enjoyed the same kind of popularity as Taboula. 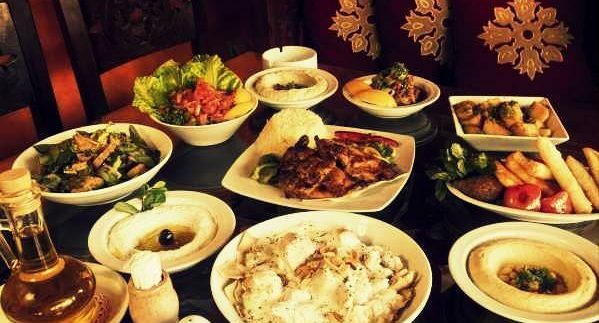 Despite the emergence of pseudo-bistros such as Zeitouna and Tamara, the Lebanese restaurant’s flagship location in Garden City continues to attract tourists and expats for its consistently top quality food and authentic Oriental dining experience. The news of the restaurant having recently opened a new branch in Zamalek has generally been met with giddiness, though the cynic inside all of us should be cautious. Conquering Zamalek is no mean feat and more restaurants and cafes than anyone would like to acknowledge have met their maker on the island. So, what of Taboula’s new digs? Well, it’s the same but different. Moving away from the Garden City branch’s very deeply Oriental decor and atmosphere, the new branch is decorated much more in a Mediterranean theme; think wide, open terracotta-coloured spaces. This might be an issue for Taboula loyalists, but the casual setup makes sense for Zamalek – the place of preference for the city’s most committed loiterers. During our visit, the restaurant was occupied almost exclusively by younger groups, who seemed to be indulging more in shisha, beverages and small dishes, than the lavish feasts that Taboula does so well. But one thing that has remained the same is the quality of food, as proven by the quickly prepared spread of mezzas that commenced our banquet. Several variations of hummus are offered, with hummus motamtam (19LE) being described as incorporating tomato, lemon, parsley and beans, with hot pepper on top. The beans, as predicted, transpired to be foul, but the dish as a whole was full of flavour and zing, with the foul beans providing texture more than anything else. Stuffed with a traditional mixture of walnut and red pepper, the makdous eggplant (20LE) was just as pleasingly sharp to the palate; each piece was pickled perfectly, maintaining the eggplant’s meatiness. One of the new additions to the menu is popular Levantine delicacy, kibbeh nayyeh; fresh, raw minced lamb mixed with fine cracked wheat, topped with a dash of olive oil and a sprinkling of pine nuts. Though lacking the level of flavour in other raw meat dishes like beef tartare or carpaccio, the finely textured paste – for lack of a better word – made for another toothsome addition to the bowls from which to pick and poke at. From the mains section, the half boneless chicken (69LE) was grilled to perfection; crispy skin, succulent meat – it doesn’t get any better than that. The hummus fattah with meat (60LE) was somewhat of a disappointment in comparison; the yoghurt – an essential ingredient that differentiates the Lebanese and Egyptian versions of fattah – was runny and diluted, which very quickly made what little bread there was layered at the bottom of the dish incredibly soggy. The cooked chick peas and pieces of beef, however, added plenty of flavour. And so overall, Taboula have succeeded in possibly the most important element of the restaurant business; it has more-or-less maintained its culinary excellence, despite its unfamiliar appearance – it’s the same, but different. Unlike it's Garden City branch, Taboula in Zamalek does not serve alcohol. Great food. What more do you need to know? The cafe atmosphere is a little unsettling.